Hygiene profitability is not the result of talking patients in to unnecessary services, it's about providing your patients with optimal care. Several weeks ago I posted an article on the topic of hygiene profitability. 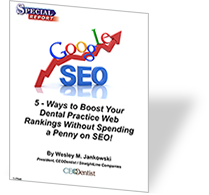 That article scored the highest number of opens and click-throughs that we’ve ever gotten on the CEODentist blog. We also got a lot of great responses to that post and a variety of different perspectives on the topic (A special “thanks” to the CEODentist community for sharing their ideas, thoughts and methods. Your patients are ultimately responsible for their own health, but you should be the one determining when certain procedures take place. In my practice, I insist that my patients allow me to take care of them. If they’re coming to me for treatment, then they have to follow my rules. We treat the total body. If I see something that’s ominous in the face, I’ll bring that up. If I see something that looks like a polyp, I’ll send that out for testing. I had someone today who came in for an implant, but when we got his x-rays back, we saw that he had inflammation of the sinus and that had to get taken care of first. When patients buy treatment, what they’re really buying is insurance. How does the patient know that x-rays are necessary? How does the patient know she needs a crown, fillings or a root canal? She doesn’t. She puts her trust in you and your staff. This trust only comes when the motivation is to provide optimal care. We take panoramic x-rays once every five years and cavity detecting x-rays every single year. This is important for many reasons, but doctors often find that patients won’t agree to x-rays unless they absolutely insist. When I get pushback on x-rays (or any other treatment, for that matter), I first ask if the issue is cost. If it is, I’ll tell the patient they can skip them once but at the next visit, the treatment (in this case x-rays) will be mandatory. If the patient pushes me for an explanation I give them this example: let’s say a patient comes in with a small cavity between his teeth. If he won’t let me take x-rays, I’m not going to see it. He’s going to come back in eight months and need a root canal to the tune of a thousand dollars. Get tough and your patients will agree to the care you know they need. In terms of profitability, there are some things that I consider so important (such as oral cancer screenings) that I will include them in my regular exam. However, there are many opportunities to add additional services to the regular exam that will improve the patient’s level of care while contributing to the business’ bottom line. Too many doctors give periodontal therapy away for free (they call it a “hard prophy”). 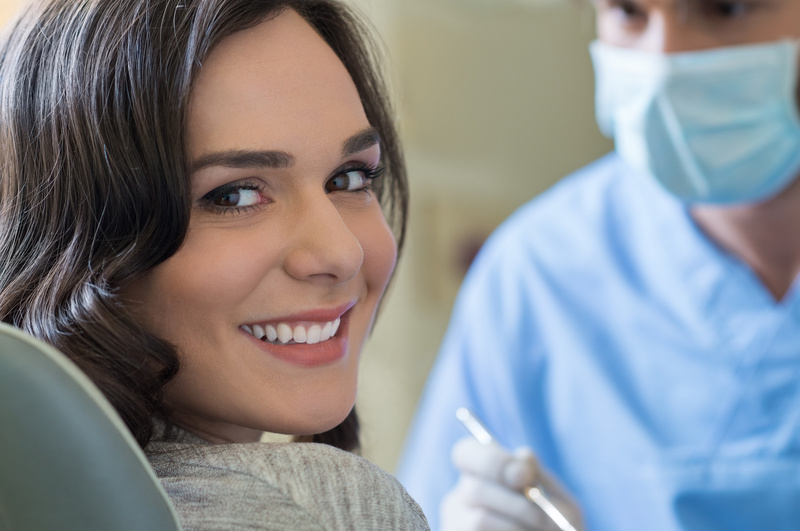 In my practice, we call periodontal care “infection removal.” We classify patients as mild, moderate, or advanced and charge them appropriately for treatment. This is in addition to the cost of a regular hygiene visit. If there is disease evident in specific areas of a patient’s mouth, I ask them, “What is it worth to keep your teeth?” People will pay for what they value and value what they pay for. Let’s say your hygienist is using a perioguage--I stopped calling it a perioprobe because it turns out patients prefer the idea of being measured rather than probed—and she isolates a 6mm pocket. She does the cleaning, writes down the 6mm pocket but doesn’t do anything about it. This is a problem. Chances are good that if there’s a pocket then there is likely an infection present as well. The most conservative treatment is with antibiotics, which take less than a minute per site and only costs the patient $75 per treatment. In my book The Power of a Beautiful Smile, I write that some doctors don’t believe Arestin is very effective. But I’ve seen it work and in my opinion, it can prevent the problem from becoming more costly and painful to the patient down the line. We don’t treat children in my practice, however, I recommend fluoride treatments to all my adult patients every six months. Insurance won’t normally pay for these treatments but it’s excellent protection against tooth and gum disease. Unlike with x-rays, I won’t immediately kick someone out of the practice if they turn down a fluoride treatment. It’s an elective procedure and doesn’t necessarily help me do my job better but it does provide benefits for the patient. Teeth have grooves, and those grooves are where most decay forms. Children routinely have sealant procedures but adults can benefit from them, too. As with fluoride, insurance may not cover sealants. So I present them to patients by describing the process as though they’re putting armor on their teeth. Sealants prevent tooth decay for years to come and we normally charge what we would for fillings. I’m a firm believer in advanced oral cancer screenings, but I do not think they should be considered add-ons. These screenings are a unique differentiating opportunity and a way to entice patients into your practice. When I first started my practice, I charged an additional $50 for the screening. I did things this way for five years and then one day, a patient came in, paid her $50 and we discovered something on the bottom of her tongue. I biopsied what we found and it turned out to be aggressive cancer. Pathologists said they’d never seen anything so small. Because of us, she ended up saving at least half of her mouth. This experience showed me the great value of this service / procedure. Now I include advanced oral cancer screenings in the exam and have increased my fees accordingly. Everything we do is about optimal care and offering a higher level of service. Get involved with your patients and become an advocate for their health. My sincere thanks to Dr. Barotz for joining us in this discussion. What do you think about these approaches to adding profitability? Leave a comment below. Have You Developed Your Annual Plan for 2016? Join Us for our next CEODentist Virtual Academy and Get It Done! Get Started with our Free Practice Analysis!